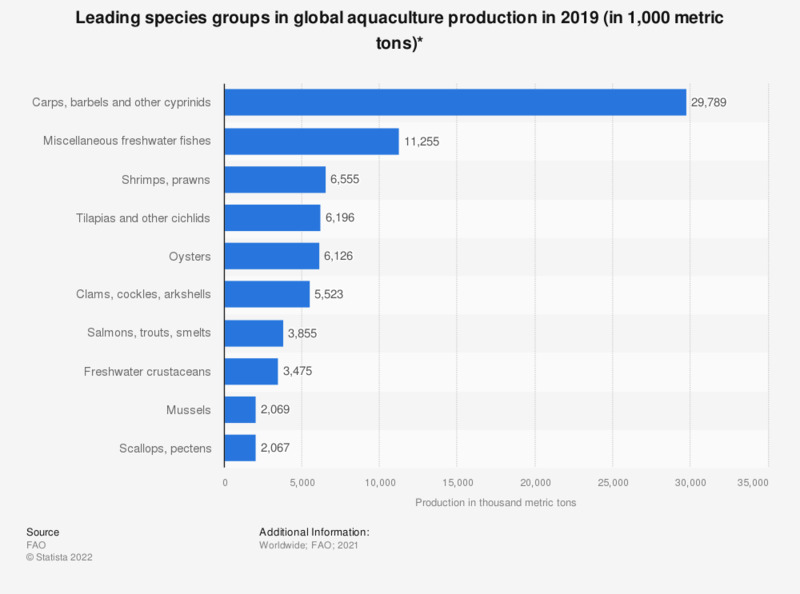 This statistic shows the top 10 species groups for aquaculture production worldwide in 2016. In that year, with over 3.32 million metric tons, salmons, trouts and smelts represented one of the world's most produced species groups in aquaculture. How frequently do you eat fishery or aquaculture products at restaurants and other food outlets (canteens, bars, market stands, etc)?